You didn't expect any automn leaves or little girls on mother's day did you ? Sorry I haven't been around for a while. I totally love your work! 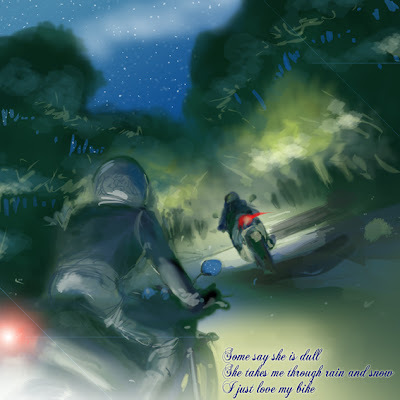 Who is the mystery biker in so many of your illustrations -- the one who is not you?